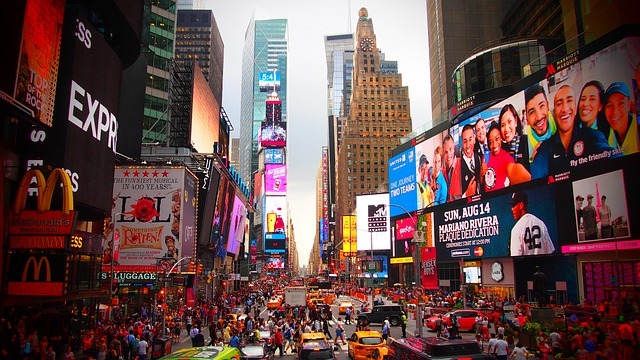 New York, the Big Apple – the city that never sleeps! 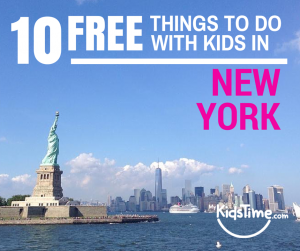 Here is our list of free things to do with kids in New York City and most of these activities are not just for kids either! 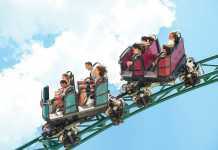 Even the seasoned New Yorker should be encouraged to give these attractions another quick look! Having featured in so many great movies, New York is an instantly familiar city. 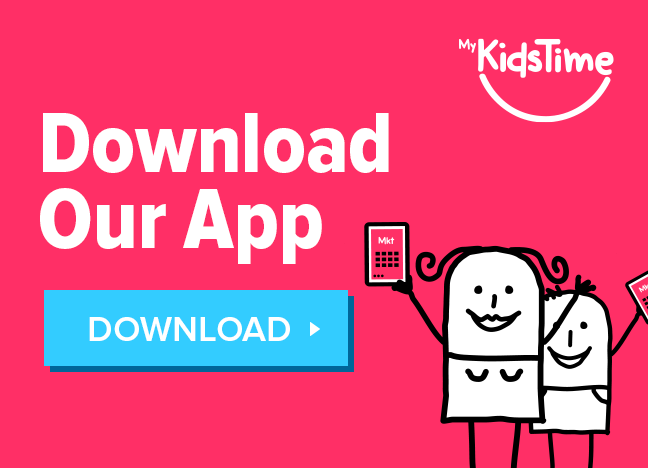 Have fun getting to know it better with your kids! 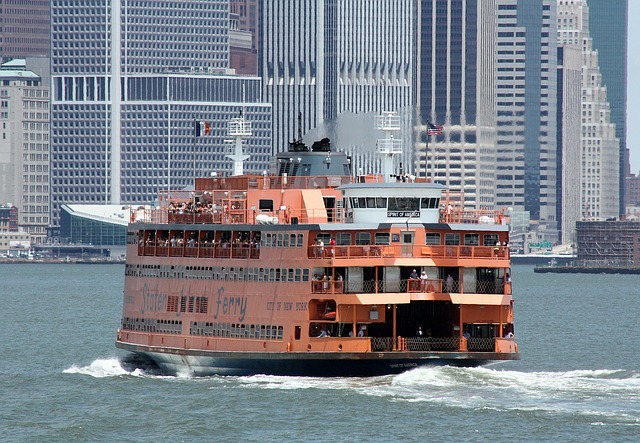 Take the kids on a 25-minute trip on the Staten Island Ferry across the water from Lower Manhattan to Staten Island. See some of the best sites that New York has to offer such as the famous Statue of Liberty, the stunning views of New York Harbor and the majestic Manhattan skyline. All free of charge! 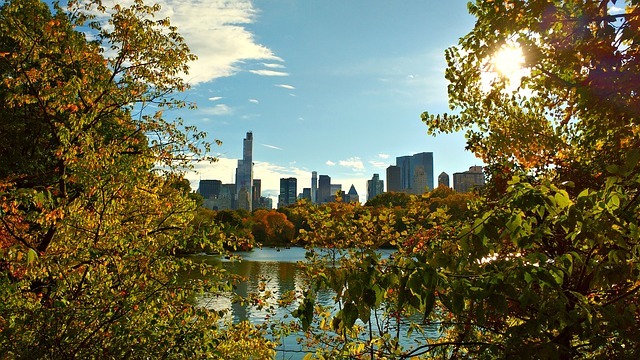 Of course all parks are free but Central Park has to be the most famous! A hive of activity all year round with playgrounds, wonderful buildings such as Bethesda Terrace & statues such as ‘Alice in Wonderland’ & ‘Strawberry Fields,’ for Beatle, John Lennon. Enjoy free swimming at Lasker Pool in the summer months & storytelling at the ‘Hans Christian Anderson’ statue. Ok, obviously toys are not free but I have chosen these toy stores because they offer a whole experience & a lot more than a simple toy sale. The Scholastic Store in SoHo is a big, colourful delight that regularly hosts craft workshops, movie screenings & other free kid-friendly events! Brooklyn Superhero Supply Store is worthy of a mention for its originality & good work! You can pick up x-ray goggles, capes & tins of immortality! Customers are asked to promise at the door to use purchases only for the forces of good & profits go to 826NYC which teaches writing to kids. Founded by author, Dave Eggers. 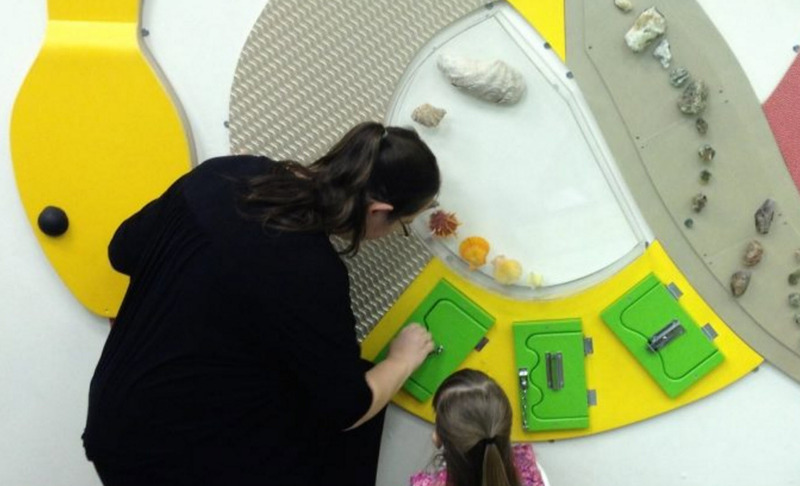 Free every Thursday from 2 to 6pm, the Brooklyn Children’s Museum is full of fun, educational exhibits that teach kids about world cultures, history & science. There’s also a lovely area specially geared towards the under-fives. 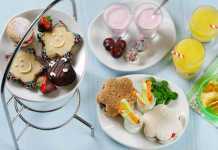 They have the most amazing website so even if you’re not in New York, you can take a look! One of the most recognisable parts of the New York City skyline, it’s free to walk the elevated pedestrian walkway for a stunning experience of New York City. 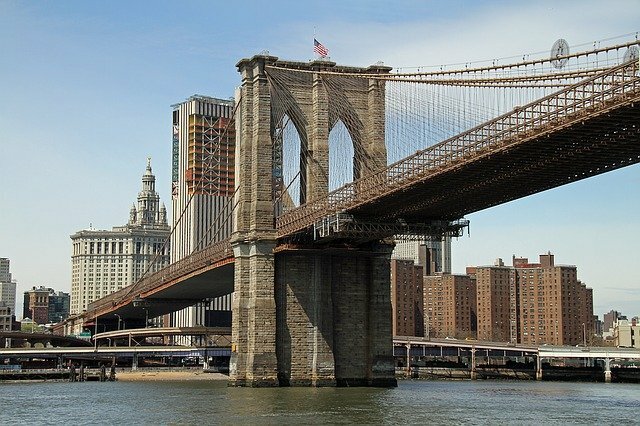 The Brooklyn Bridge has featured in so many movies & television shows making it a real part of New York City history. 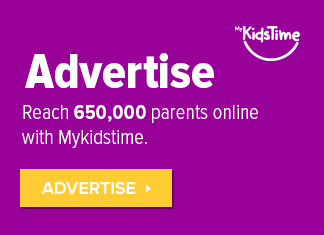 A selection of informational books targeted to children’s educational and curricular needs. Collections of picture book stories for sharing with younger readers, easy storybooks for newly independent readers, and novels for readers up to age twelve. Collections of musical CDs, books on CD, and DVDs for children. Seven PC stations with internet access, available by appointment and reserved for use by children twelve and under. Trained professional children’s librarians always on hand to help patrons of all ages to navigate NYPL catalogs and other resources. 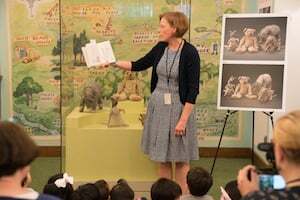 They also feature events for young people and their families including storytelling, musical and theatrical performances, spoken word performances, and guest appearances by authors and illustrators. 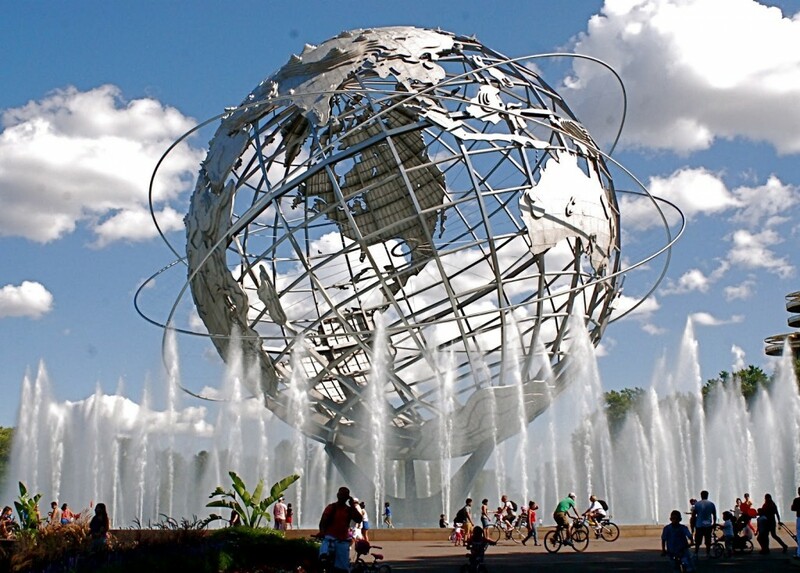 The city’s second-biggest park, Flushing Meadows – Corona Park contains the amazing Unisphere, a mammoth steel globe created for the 1964 World’s Fair. You can also explore one of the park’s six playgrounds, take a stroll along the Flushing Bay Promenade, or fly a kite or model airplane. 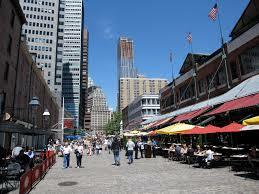 South Street Seaport is an entertaining area with exciting, free seasonal events & entertainment for all ages. You can also inspect the historic ships docked at the pier. The South Street Seaport Museum tells the story of the rise of New York as a port city and its critical role in the development of the United States, with interactive exhibits, education, and experiences. You can’t really visit New York without taking a photo in Times Square, the busy, bright hub of excitement! Recent additions such as the stairs above the TKTS booth and a pedestrian plaza along Broadway have improved the overall sightseeing experience of this landmark area. We also enjoyed visiting The M&M Store located just off Times Square. What did I miss? 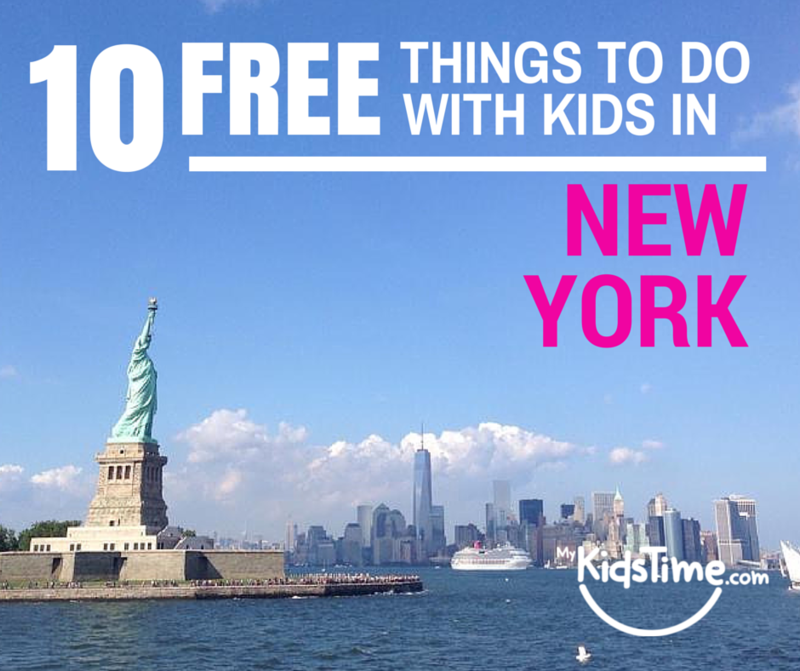 I’m sure you can recommend some more free things to do with kids in New York, so please let us know below! !